Almost six out of every ten trains at Bristol Temple Meads have ran late or were cancelled since the beginning of this year. It makes Brunel’s historic station the fourth worst in the UK for punctuality according to a new study from Which? To find the stations with the most delayed or cancelled services, Which? used data from rail-performance tracking site On Time Trains. Yes ... though "Bristol Commuters" is more logical - the thread mentioned above has been hijacked (by me, as it was in the TransWilts area) to come up with comparative figures there which make Temple Meads look excellent. Please carry on general discussions here - in Bristol Commuters - of the Bristol issues. A rail commuter in London said people face "a daily battle simply to get from A to B". Which? said even small delays could have "a knock-on effect" on passengers' ability to complete their journey. The consumer group looked at services at the 10 busiest stations in London and the 20 busiest outside the capital from the start of January until the end of September. A Which? spokesman said the "timetable chaos earlier this year", caused by the implementation of new schedules by train operator Northern, had had "dire knock-on effects for [Manchester] passengers' personal and professional lives". Can't help thinking Which's measure of 'at least a minute late' is unhelpful. Statistically, departure times must be distributed about a norm, and as trains really can't (well, shouldn't) leave early this norm must be after the scheduled departure time. I start to get edgy when trains are more than 3 minutes late, but anything better than that is as close to 'on time' as makes no odds isn't it? Having been to Japan, I can wish that Network Rail where as punctual. Seriously, from a UK POV, I do expect trains or information systems to be punctual. If a train is late, the systems should tell you. Also, if a train has missed its slot and is going to be bumped behind another another it should tell you. The nunber of times I have boarded a local train, and had to wait whilst a late Cross Country train arrives, and on few occasions the local train has had to wait for the next Cross Country Train (ref Bristol Temple Meads, 1600 CC, 16:15 Local stopping Service to Bristol Parkway, 16:30 CC). How often have I seen latecomers being invited to board well after the dispatch process has started. Rail discussion groups are full of tales from people who think they should be able to board until the last second. The “doors will be closed 30s or 40s before departure” routine is regularly criticised. Logic for any piece of public transport would be to publish the schedule as it relates to the passenger. Thus for a train - the time of the doors closing. For a ferry, the time of last boarding, etc. It seems perverse to me that public timetables give internal working times - when the wheels start to turn or the ferry starts to move off the berth having been secured, and the member of public using the service is expected to do a calculation / make an allowance. ...had to wait whilst a late Cross Country train arrives, and on few occasions the local train has had to wait for the next Cross Country Train (ref Bristol Temple Meads, 1600 CC, 16:15 Local stopping Service to Bristol Parkway, 16:30 CC). Actually late trains would be an improvement on non existent ones ! I don’t think it would make any difference in today’s society. Individuals would still try and push it to the limit during whatever time was allowed between publicised time and the real departure departure time. They’d still jam doors open for their mate just the same. Rules and ‘normal routines’ are seen as just for the other people. We're not talking about people who arrive late, though, or those who wedge doors. We're talking about people who arrive in time and are then denied access. Absolutely! Anyone who is on a platform at 19-28-30 when doors are closed on the 19-29 departure is entitled to feel hard done by, especially if they are not a regular passenger and have not seen the signs about earlier locking of doors. It's also infuriating for those of us who arrive at 19-28-30 because they were delayed by a late running incoming "connecting" service of the same TOC (welcome to my world!). An advertised departure time must be the doors closed time, not the wheels roll time. 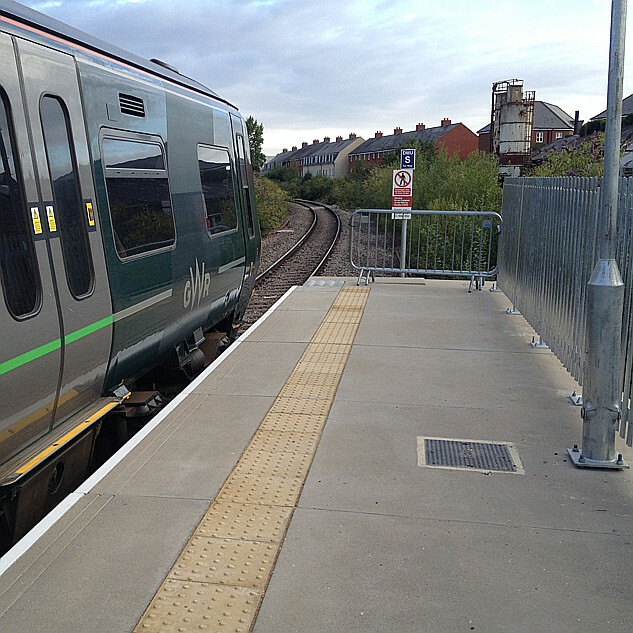 It is symptomatic of the rail industry's failure to appreciate the passenger's point of view. On a recent journey from Euston to Glasgow, I was tipped off the platform number by text message a few minutes before the station boards/online sources were updated (I had a reservation on the next service). I had booked via the Virgin Trains website (not sure if others would do it). Not quite on topic but there was an evacuation of Temple Meads today according to the Bristol Evening Post, link below. Looks like a false alarm but better save than sorry. Mods, feel free to move if you think appropriate. I got off a crosscountry service last Thursday back from Leeds to Temple Meads, my connection was on the same platform (12) so was stood watching people get on and off. First class was in the rear, I was amazed that the train manager was stopping people from getting on the door she was stood beside waiting to despatch so that these people could walk through to standard class. She even phsyically blocked an elderly couple getting on that then missed the train - surely this isn't an actual rule is it?